1499 - D. Nikolopoulos or Blach. - 47 - _____ - farmer/shepherd? 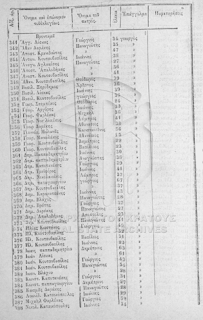 1598 - Παναγ Γκίκας - 35 - Γεώργιος - γεωργ κτημ. 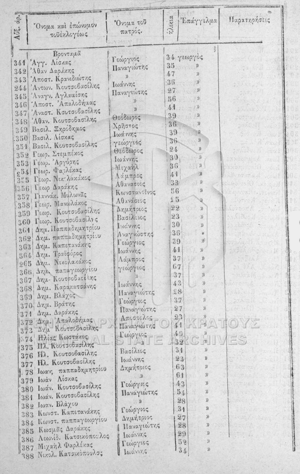 1646 - Fotis Besiris - 46 - _____ - farmer/shepherd ?